A selection of music songbooks and sheet music arrangements for mixed voice 8 parts. Displaying 1-41 of 41 items. Setting the well-known text by Joseph Addison, The spacious firmament is a mysterious and powerful concert work. Bullard uses a variety of textures throughout the piece, resulting in a unique and memorable choral work that will be welcomed by more experienced choirs. Motets for unaccompanied Double Chorus. 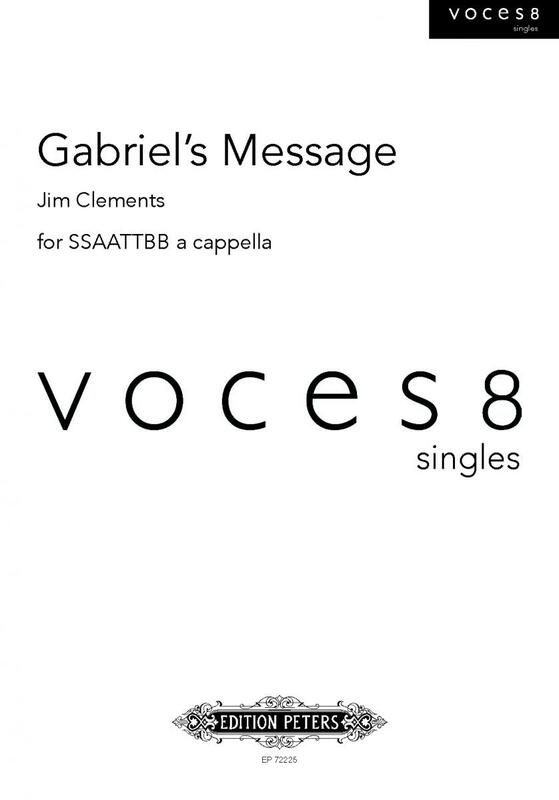 This arrangement is one of several Jim was commissioned to write by Voces8 for their Christmas album, Snowed In, and it was nominated for a 2009 CARA award. 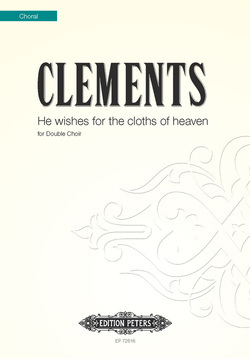 Its stillness and simplicity is intended to evoke both the awe and fear that Mary must have felt upon being told she was to give birth to the long-expected Messia Jim Clements is a British choral composer, arranger, orchestrator, and singer. He has written for numerous world-famous artists, including Tom Jones, The King's Singers, Tim Minchin, and the Royal Liverpool Philharmonic Orchestra, and has been nominated for three CARA awards. His music is published by Edition Peters, and has been recorded on Decca Classics, Inertia Records, Priory Records, Signum Classics, Universal Records, and others. He is a member of the GRAMMY-nominated early music vocal ensemble, Stile Antico, which records exclusively for Harmonia Mundi. Long ago, an argument arose between mountains and rivers, stars and ants, lions and bears on the nature of God. A terrible cacophony of quarreling voices rang out until wise Old Turtle quelled the din, explaining that God is all that we dream of, and all that we seek... all that we come from and all that we can find. Based on the book by Douglas Wood, with its elegant dream-like watercolors by Cheng-Khee Chee, Song of Wisdom from Old Turtle is a choral and symphonic experience, which must not only be heard, but felt by the soul! Staying true to the text of the story, Joseph Martin has masterfully crafted the many characters and moods of the book into a musical fantasy for mixed chorus and narrator. Brant Adams' rich and colorful orchestration adds depth and a sense of awe to this choral symphony. The work leaves audiences speechless, until they jump to their feet in enthusiastic applause! Acclaimed American composer Kirke Mechem at his best with these most interestingly themed pieces with text by poets Sara Teasdale and Paul Dunbar, and British writer Siegfried Sassoon. This Choral Cycle includes three pieces: "Birds at Dusk" (Teasdale), "The Caged Bird" (Dunbar), and "Everyone Sang" (Sassoon). In 1955, while in the midst of working on a musical version of Voltaire's CANDIDE with the distinguished American playwright Lillian Hellman, Leonard Bernstein wrote these a cappella choruses as incidental music for the play THE LARK, adapted by Miss Hellman from the original French version by Jean Anouilh. Since the drama is about the trial of Joan of Arc, Mr. Bernstein's music is deliberately evocative of that great Saint's medieval era. The initial presentation of the play took place on October 28, 1955 at the Plymouth Theater in Boston, with a cast that included Julie Harris, Boris Karloff, Christopher Plummer and Theodore Bikel. These arrangements of the Five Spirituals grew from the arranger's desire to see a larger and more interesting repertoire for mixed choruses, and were created with the approval of Tippett's biographer and execture, Merion Bowen. Whilst the spirituals suit mixed choruses of various sizes and remain as 'basically simple' as the originals, there are several musical challenges in the arrangements. Central to Vask's work are human beings and nature. The beauty of nature versus the threat of it, and the human role in it. His human and cultural image is therefore not very optimistic. However, in his work Vasks expresswes wonder and beauty. Especially in his early compositions. The choral work Mate Saule (Mother Sun) from 1975 is one such work. It seems nothing but an evocation of a sun with sparse melodies that break away from the sound as halos and sun breaking through the clouds. Meanwhile, this work is also a piece that is exemplary for the later choral works of Vasks. Although the piece is almost entirely diatonic, drop the instrumental notation for the votes and nice dissonant textures right on. These are things that Vasks in his later work refined and enriched. Phillipe de Monte wrote Super flumina Babylonis (By the streams of Babylon, there we sat and wept) and sent it to William Byrd who responded by setting the subsequent verses of the psalm text Quomodo Cantabimus (How shall we sing the Lord's song in a foreign land). 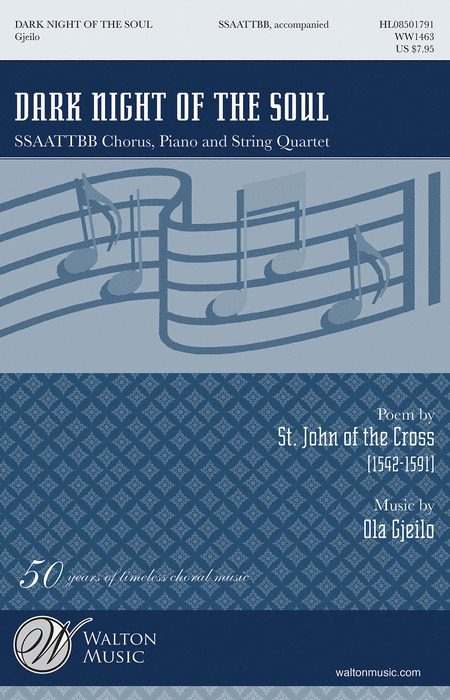 This edition allows these wonderful pieces to be sung as a unit or separately. This arrangement of "Abide With Me" begins with a very beautiful and effective male a cappella section. This sets the stage for the rest of the piece which rises in intensity and volume until the final and triumphant ending. Abide With Me displays mans complete dependence on God and is very moving for both the audience and the singer. "Sweet, Sweet Spirit" is a bright and warm song that is perfect for a large choir. The fact that it is A Cappella adds greatly to the rich charm of the piece as well as making it highly rewarding to sing. "A Prayer" - This inventive and original composition bestows rich and luminous harmonies to the a cappella choral parts. It is a haunting call for the Lord to save us from sin. This piece requires proficient sopranos and is very fulfilling to an innovative and talented choir. "Hail, all hail", is an animated and vivid a cappella piece. This work will explore the brighter colors and sounds of the choir, allowing a powerful majestic result. 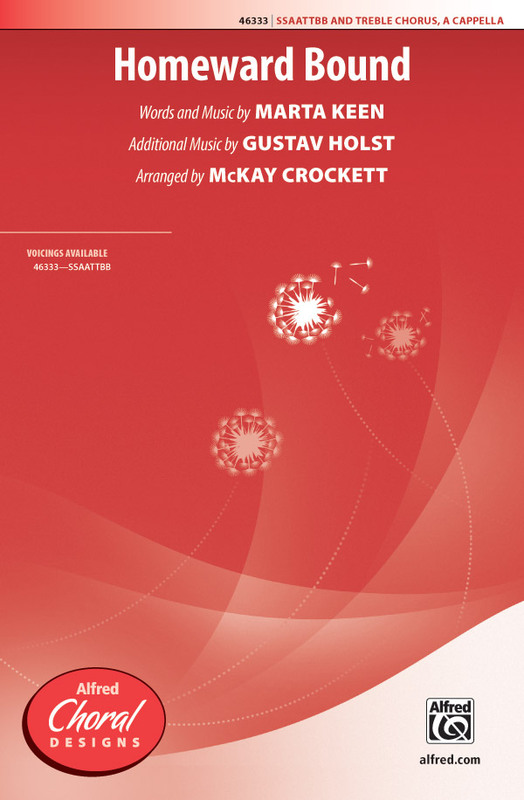 Great for Christmas, this work allows the choir to let loose and make a joyful sound! Displaying 1-50 of 105 items. Emerging from a unison pitch the a cappella voices channel through gorgeous suspensions and luxuriously lingering resolutions. This song of peace described in Latin text is immediately timeless and useful in church, high schools and college choirs. 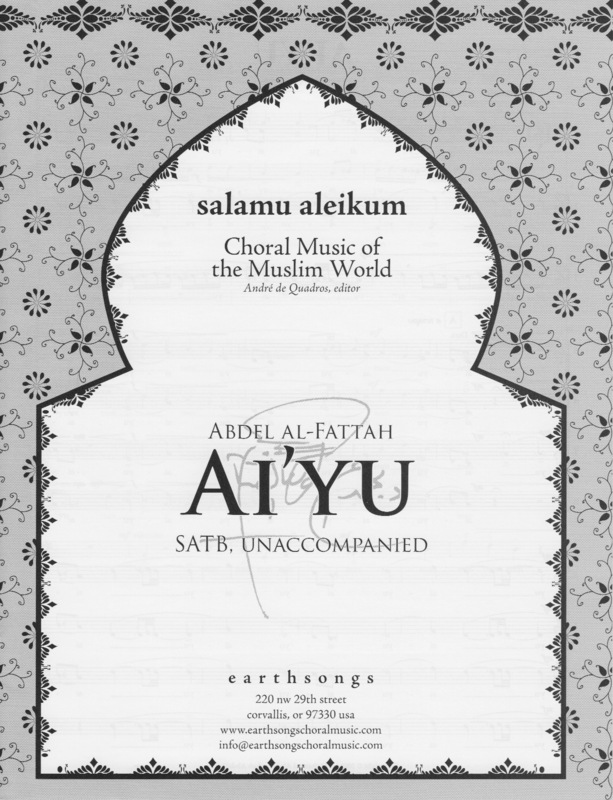 The sweeping melody line of this work blends smoothly with a sense of symphonic chorale. The Silvestri text begins with the last words in Gjeilo's 2011 Tundra, here painting a world of light. An excellent centerpiece work for high school and beyond, and a sure audience pleaser! String quartet score and parts available separately. Duration: ca. 4:10. Based on Elgar's own piano transcription of his Enigma Variations, the rich harmonies and depth of expression of this setting with sacred text may be performed by a variety of choirs. Gene Puerling : Am I Blue? A jazz influenced arrangement of the Christian hymn, written for Andrew Earis and the choir of St Martin in the Fields, London and performed at President Obama's Inauguration Day prayer service at St. John's Episcopal Church in Washington DC. With Piano part for rehearsal only. This is a beautiful piece in melody and form, but what stands out even more is how composer Kevin Memley has used the voice to orchestrate the piece. Programmatic effects are tastefully incorporated into the musical structure of the composition. 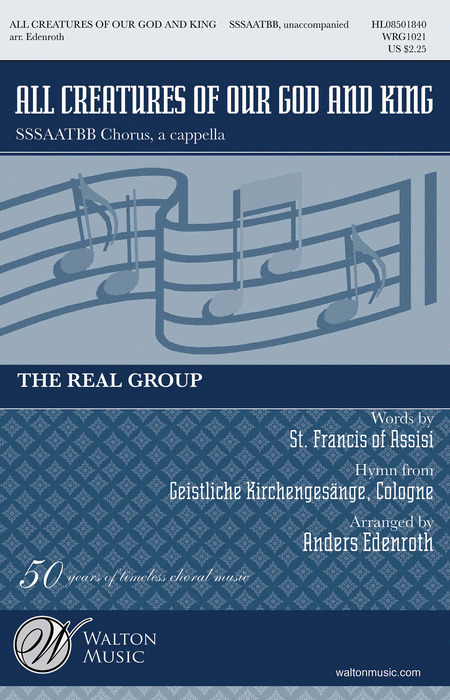 Arranged for double mixed choir (SSAATTBB) a Capella. Edited by Patrick Russill. A former recipient of the Guild of Temple Musicians' Young Composers Award, Dr. Ginsberg continues to produce pieces of great sophistication, and has found a home with Transcontinental. The sonorities of this piece will grab your attention right from the first chord. This psalm setting is somewhat of a challenge - one certainly worth surmounting. An ode by John Milton, set for double SATB chorus and orchestra. Dedicated to C.V.Stanford and the members of the Bach Choir. Vocal Score. 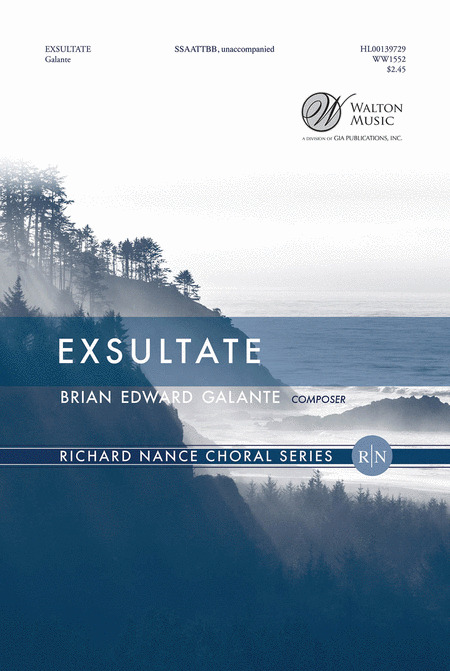 Breathtakingly peaceful describes this new stunner from Richard Burchard, which was commissioned by the ACDA Western Division for their 50th anniversary convention. Rich, warm harmonies have been woven to one of Stevenson's most uplifting poems. For advanced high school, college and community choirs. Harris's Bring us, O Lord God and its sister work Faire is the Heaven are two of the most rewarding anthems for double choir in the Anglican canon. THis piece was composed in 1959, not long before Harris's retirement from a distinguished career as a teacher and director of music. A renowned choir trainer, the idiomatic part writing and textural mastery that Harris achieves in the work are testament to his tireless efforts at the musical helm of institutions such as New College and Christ Church Cathedral, Oxford, and St George's Chapel, Windsor. This beautiful rendering of the love verses from I Corinthians 13 is a small masterpiece by Richard Burchard. Beginning with a simple chant sung in canon over a pedal point, the textures soon expand and evolve into dense flowing lines that typify Burchard's style. High school choirs, college choirs and good church choirs will enjoy this expressive composition. Inspired by the grace and passion of a medieval poem, this extended work offers intense dramatic exchanges between choir, piano and string quartet. Sentiments of stillness and peace are beautifully portrayed, making this a memorable work for both singers and audience! Available separately: SSAATTBB, String Quartet (Full Score and Parts), String Quartet (Full Score only). Duration: ca. 14:00. Composer Rupert Lang has created a beautiful mediative and reflective work based on an Ute Nation prayer. From the earth we can learn how to live our lives with wisdom. Earth, teach me suffering as old stones suffer with memory. Earth, teach me freedom as the eagle which soars in the sky. Earth, teach me. Duration: 7:45. Here is a most-beloved text with a fresh, well-crafted musical approach. This work requires a larger, mature choir for the jubilant expression of the joy of singing. A great selection for any concert, and ideal for your spring program! Duration: ca. 4:55. Written for Pacific Lutheran University's Choir of the West, this majestic setting of Exsultate will be a challenge for advanced choirs. Rich in texture, imaginative in structure and thrilling in its harmonic makeup, this work will be an excellent concert opener or pairing with a more major work. Richard Nance Choral Series. Uses: Creation, General, Thanksgiving Scripture: Psalm 33:1-6; Psalm 95:1-6; Isaiah 6:3 Music of scope and authority brings to glorious splendor one of Christendom's most celebrated texts in this anthem full of sweeping harmonies. Like an impressionistic painting, this sacred tone poem musically displays the various colors of the beauty of creation. Some divisi and modulations throughout, combined with excellent part-writing, will make choirs sound their very best. Stunning! Score and Parts (fl 1-2, ob, cl, hn 1-2, tpt 1-3, tbn 1-2, tba, chm, timp, perc, solo vn, vn 1-2, va, vc, db) available as a digital download. An alternative accompaniment for Organ is also available as a digital download. Four Madrigals was commissioned by the Dale Warland Singers and includes the following Madrigals: Lo! I Touch You - Parted Lips - When I Am Near to You - Therefore I Say, Stay. The authentic music used in the film! Two haunting choral songs used in the Disney animated feature Frozen capture the stark beauty of the Frozen north. Whether performed a cappella, as they were in the film, or with the optional keyboard or CD accompaniment, these are wonderful selections that will expand your singers' understanding of Scandinavian music. Includes Heimr Árnadalr, Vuelie and The Great Thaw (Vuelie Reprise). For a recorded excerpt, please visit www.halleonard.com/choral. This choral masterpiece was THE festival anthem for the latter half of the 20th century. Constructed in a form and style reminiscent of Beethoven's Hallelujah from the Mount of Olives, the musical statements are powerful and exhilarating. A strong accompaniment instills the dramatic choral lines with confidence. A timeless classic for both church and school choirs! A new and simple arrangement of the famous prayer joins the existing repertoire with rich harmony and strong melodic line. Uses: Benediction, concert, general Scripture: Colossians 1:24-29; Exodus 33:12-14 David Schwoebel composed this benediction to honor Bingham Vick, celebrated choral conductor and educator from Furman University. A beautiful piece based on an ancient Gaelic poem, this brief blessing may become a tradition as your concert or worship service closer. Superb! A cappella. Duration: ca. 1:48. Stacey knows how to bring the most out of a spiritual - his arrangements are captivating and fresh. This one is particularly enjoyable, beginning freely then rocking from side to side, quieting down and then building up to a fulfilling finish. Excellent for church and school as well as festival use. 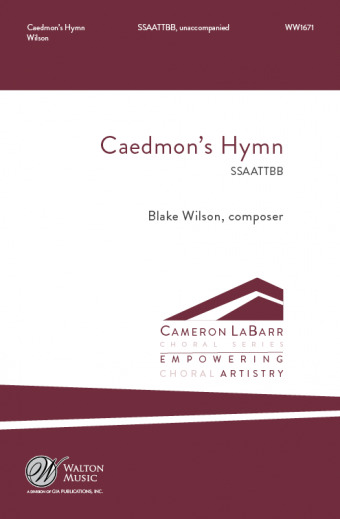 He Carried Me Away In The Spirit for mixed SATB chorus a cappella was written for the choir, Commotio, and their conductor, Matthew Berry. This motet is a companion to the short unaccompanied motet Pure River Of Water Of Life both with texts from the final chapters of Revelation. If performed together, He Carried Me Away In The Spirit should be sung first and can segue into Pure River Of Water Of Life A Piano accompaniment is included for rehearsal purposes. This dramatic setting of the beautiful W.B. Yeats' poem gives the choir an excellent chance to express rich dynamics and let the music speak. It requires a large enough choir for a deeply rewarding performance. Exquisite! Duration: ca. 3:50. Director of Music at Hollywood Presbyterian, Ariel Quintana was recently named assistant conductor to the Los Angeles Master Chorale. His compositions have been performed by some of the world's most renowned ensembles and Pavane is proud to release his setting of Isaiah 58:6-9. Beginning with the repeated phrase Hey! now, now, now as a whisper in the bass voice and expanding to all voice parts throughout the piece, this carol portrays the exciting news of the new born baby Jesus. The excitement of sharing a secret becomes too much to contain by the end of the music. Marques Garrett : Hold On! Here is a spiritual that will please your choir and the audience alike! This festival arrangement stresses the rhythms and asks you to express the dynamics, to bring out the contrasts of this fun arrangement! Keen attention in the rehearsal work may be required, but it is well worth it. For worship, good high school and beyond. Duration: ca. 2:20.